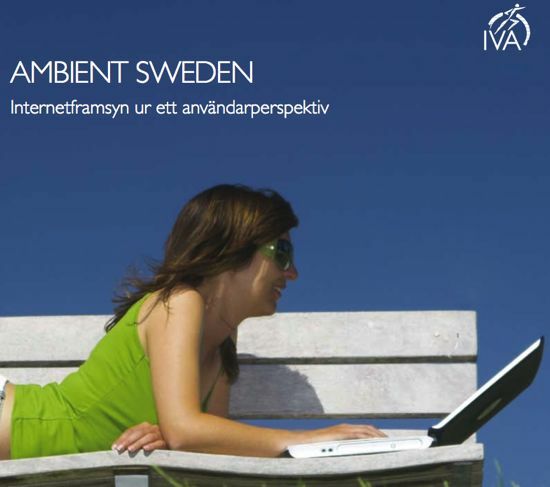 Internetframsyn, “internet foresight” is a project organized by the Royal Swedish Academy of Engineering Sciences, (Ingenjörsvetenskapsakademin, IVA in Swedish). I have participated in the User panel since August 2007, focusing on how internet can be used to improve life for citizens and employers. The full report can be downloaded on the Internetframsyn project web site. Our work life in 2015 is based on flexibility and continuous learning. You have different work schemes depending on if you are young without children, have small children, are single, have teenagers or if your children have grown up and moved away. Full retirement is no longer mandatory and many more people are self-employed and have multiple careers at the same time. A modernisation of our work culture using new internet-based technology and new standards enables us to work to a larger extent independent from regulated work hours (Time shift) and traditional places of work, like an office (Location shift). We move from trying to balance work and life to integrating our work into our life. The focus of the work culture moves from worked time and presence at the work place to the productivity and social abilities of the individual. Time shift and Location shift requires development of improved internet based tools and social media technologies in order to increase the flexibility in many types of work. The goal is to develop new methods that enables a much richer and more personal communication that is independent of time and place, thereby increasing our productivity and decreasing personal stress and environmental pressure.